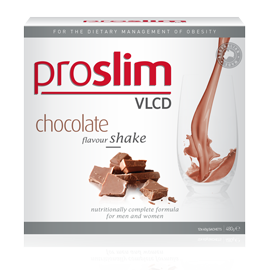 Proslim shakes are formulated to promote accelerated weight loss which includes all of your daily nutritional requirements when consumed 3 times a day. This product has 4 delicious flavours which are vanilla, espresso, chocolate and strawberry. Proslim products provide nutritionally balanced total meal replacements which are designed for rapid weight loss when it is required for optimal health and wellbeing. VLCD stands for very low calorie diet which are commonly used by overweight or obese individuals to promote rapid weight loss. A very low calorie diet is a special diet which provides a very low calorie food consumption per day of approximately 800 calories per day. These formulas provide all of the required nutrients to promote rapid weight loss. This diet substitutes all meals with Proslim formulas which are liquid shakes, bars or soups. VLCD may assists individuals in losing approximately 1.5-2kg per week which results in approximately 20kg over 12 weeks. VLCD diets are a safe and effective way of reducing weight rapidly. Weight loss has some positive impacts on general health and obesity related conditions including high blood pressure, high cholesterol and type two diabetes. This diet requires close observation from a general practitioner. Very low calorie diets can be difficult in the first few days but afterwards ketosis occurs which is a metabolic reaction where the body uses fats for energy rather than carbohydrates. Ketosis decreases appetite which makes the diet much easier to follow. In the first couple of days of a very low calorie diet, you can experience hunger but it will eventually diminish once the body adjusts to the low calorie diet. 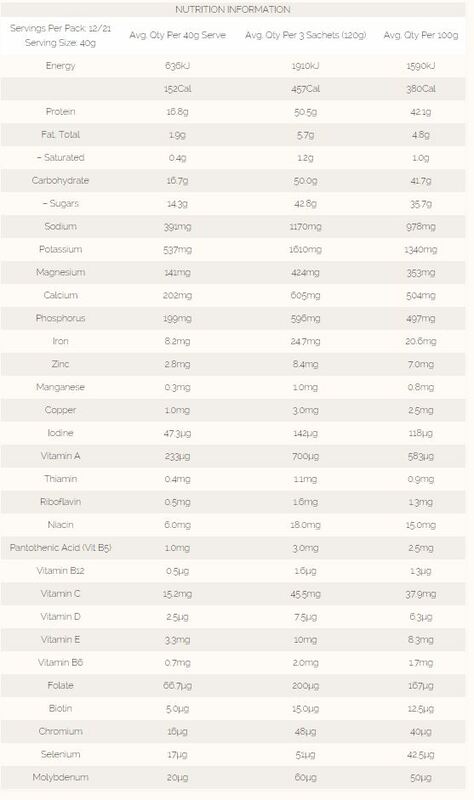 To prevent severe hunger, you must consume 2 cups of low starch vegetables per day which include snow peas, capsicum, mushrooms, alfalfa sprouts, broccoli, asparagus, tomatoes, eggplant, leek, cauliflower, silver beet, green beans and baby beetroot. VLCD Phase: This phase is used when rapid weight loss is required. It is important to consult your regular health professional if following this the VLCD phase for over a month. This phase can be followed for a minimum of 1 week to 3 or 12 weeks. Transition 1: This is the second stage of the program. During this stage breakfast and lunch are still replaced by Proslim shakes, soups or bars and a healthy balanced evening meal and snacks. The caloric intake is now at a low calorie diet which is followed for 2-6 weeks. Transition 2: This is the third stage of the program and is designed to assist with weight maintenance and continuing a healthy eating lifestyle. During this phase, breakfast is replaced by Proslim shake or bar and a healthy balanced lunch and evening meal along with 2-3 snacks made up of nutritious foods. Add contents of 1 sachet to 200ml of cold water and blend and drink immediately.